love plus learning cancels regret – Love. Life. Practice. I remember reading those two words as an impressionable early teen, and wondering at them. The teen years are full of regret, after all – Why did I wear these jeans? I wish I’d asked her to the dance! Why didn’t I study for this test?!? It took a very long time to realize that the words relate more to shame – regret is the way you choose to shame yourself, after all. There’s no way to change what you did or what happened – it’s in the past. Unalterable. Sure, you can try to forget it, you can reframe the memories, you can try to make up for whatever mishaps occurred – but those aren’t part of regret. Those are actions. Regret is simply an emotion, an unpleasant one, where you feel bad about things over which you have absolutely no control. Where’s the use of that? “What is your part?” he asked me, point blank. I just looked at him. Silently. The question seemed ridiculous. While they’re talking about child abuse, the statement applies to any case of regret. You can’t change what happened before. So what is your part in hanging on to these negative feelings that make you feel ashamed of yourself? Why would you do that to yourself? Problem is, life isn’t like that. Life is complex, beautifully so, but it takes work to actually look into the finer details and get the perspective. Heck, it’s difficult to accept that there are different perspectives, and the idea that your perspective then might be different than your perspective now? That you’re trying to be an armchair quarterback, second-guessing the agent in the field, being a backseat driver for your own life? That’s some higher-level thinking. That’s some difficult processes. 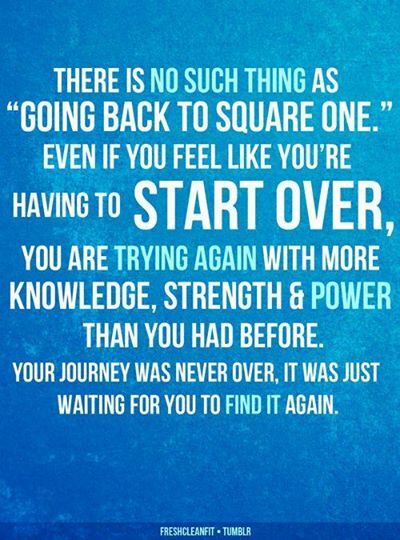 I can recommend two steps to try and start the journey, though. Not because I’m terribly good at them, mind you – I’ve just managed it a time or two, and it’s helped me lose a couple of bundles of regret that I used to carry around. Love who you were. This shouldn’t be too long. Just let yourself go back in memory, looking at that person you were when you did that thing you regret. You know them better than anyone. You know why they did what they did. You know what motivated them, what values they had, what weaknesses, and what strength. You don’t have to like the characteristics, necessarily. But that person – that individual – they are worthy of your compassion and affection. Hold them in your imagination, and let them have the gift of You know what? You’re pretty ok. Learn from what happened. It’s absolutely true that we should learn from mistakes – what’s wrong is the idea that shame or regret are effective tools for learning. For example, one study indicated that prisoners who felt ashamed of their crime were more likely to repeat it than those who felt guilty. It’s a subtle difference, but a powerful one, and it has to do with personal responsibility. Regret tries to shame the person you were, as opposed to accepting the contributions that person made along with everything else. The next step, though, is to look at what happened with an objective eye. What can we do better? Some things may be obvious: I could study for the next test. Others may not work out so well; you overcome your shyness, ask that person out on a date, and discover that the two of you make each other absolutely miserable. But you can take time to learn something from any situation. That’s it. I’m pretty convinced that if you apply love and learning to a situation, you no longer regret it. Instead you’ll understand it. You’ll see how it has added to your power, to your abilities, to your experience. It doesn’t mean that you’ll automatically get better. Life is not a three-act play; the world doesn’t end with the curtain coming down. What you can do, though, is try to make the next chapter even more enjoyable than the last one. Did you enjoy this post? Or any of the others?